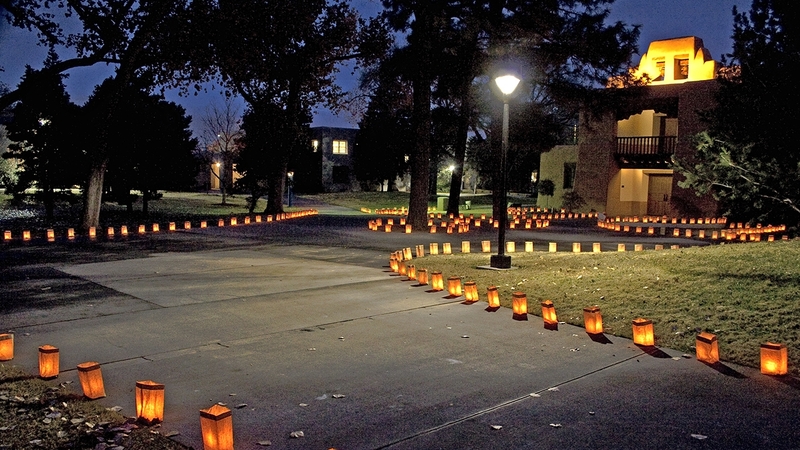 The University of New Mexico Mortar Board Society presents UNM’s oldest tradition, the Hanging of the Greens, on Friday, Nov. 30 when student organizations come together to light up campus with thousands of luminarias. Once the sun goes down, the campus the campus comes alive with one of the largest luminaria displays in town consisting of more than 14,000 luminarias. The event begins at 5:45 p.m. at the UNM Bookstore on main campus. Once assembled, the carolers will walk from the Bookstore across campus towards University House to present UNM President Garnett Stokes and her husband, Jeff Younggren, a holiday wreath. "As our oldest student tradition, it is one I’ve been eagerly anticipating since my arrival," said Stokes in her weekly campus message. "The entire community is invited to join our UNM family as we ring in the holiday season with biscochitos, hot cocoa and carols…and of course, strolling among over 14,000 luminarias artfully arranged by our student organizations." Afterward, carolers will head on their merry way to Hodgin Hall singing along the way en route to a reception at Hodgin Hall where carolers will be greeted with biscochitos and hot chocolate at Hodgin Hall from 6:30 to 8 p.m. The community is also invited to bring an unwrapped children’s book to place under the tree at Hodgin Hall. Books will be donated to UNM Children’s Hospital. Additionally, the community is encouraged to return to campus Saturday morning and gather luminarias for their own use. The Hanging of the Greens is a traditional event that first began in the 1930’s with Lena C. Clauve, former UNM student and UNM Dean of Women. 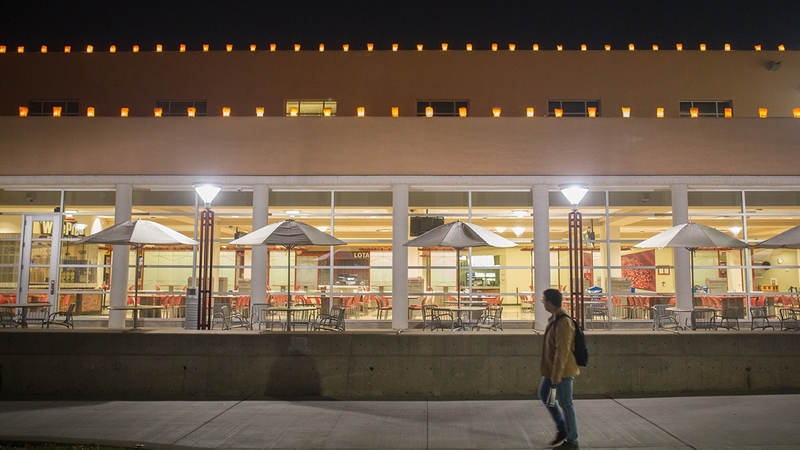 The tradition began at UNM when students would drive to the Sandia Moun­tains to gather greenery they would later use to decorate the Student Union Building. Then members of the Mortar Board Society dress up as Christmas elves and walk around campus and sing Christmas carols. When they reach the University House, the elves leave a wreath for the president. For more information, visit the UNM Events Calendar. See the video below to catch a glimpse of last year's event.